Socks go missing in the laundry all the time, but where do they go? Join Malcolm, Petunia and all of their friends on an exciting journey through Sockland! 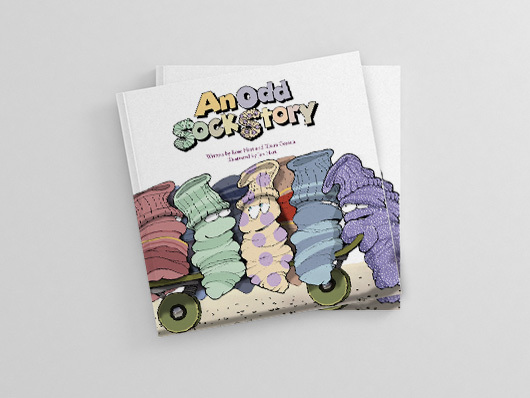 Find out if lost socks are destined to be alone, or can the community of Sockland accept a happily mismatched pair? Get your copy now in the US! Get your copy now in the UK! ©2017 An Odd Sock Story. All right reserved.